Marble Restoration Los Angeles: What Is Marble Etching? Marble is one of the most beautiful materials with which you can furnish your home. It can transform an ordinary kitchen into a luxurious entertainment space, and marble flooring can make your home feel like a sophisticated palace. No matter where you have chosen to install marble in your home, it’s important to protect your investment. We noted a few of the most common forms of marble damage in a previous post, and in today’s post, we’ll take an in-depth look at a specific form of marble damage, etching. Concrete & Marble Transformerz is proud to be the Top-Rated Local® stone restoration company in Los Angeles and the surrounding areas. We proudly provide marble restoration, granite restoration, and a variety of other stone polishing services that can help you maintain the natural stone surfaces in your home. Get in touch with our stone restoration experts today to schedule a free estimate, and continue reading below to learn more about marble etching! The first thing you should do is use caution whenever you’re handling food or drinks around your marble — this includes using placemats and coasters if you have a small countertop bar. If you happen to spill something, clean it up as soon as possible using a soft microfiber cloth. While regular towels aren’t particularly likely to damage your marble, it’s always better to be as safe as possible when it comes to protecting your marble’s polish and sealant. 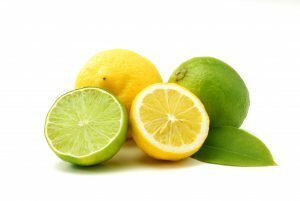 We recommend using cleaning products designed specifically for marble surfaces whenever you’re cleaning, but if you choose to use a product that isn’t designed specifically for marble, make sure that it doesn’t contain bleach, ammonia, or vinegar. If you’ve chosen to furnish your home with marble floors, make sure that you’re using a specialty broom and mop whenever you’re cleaning, as traditional mops and brooms can quickly scratch and damage the polish. 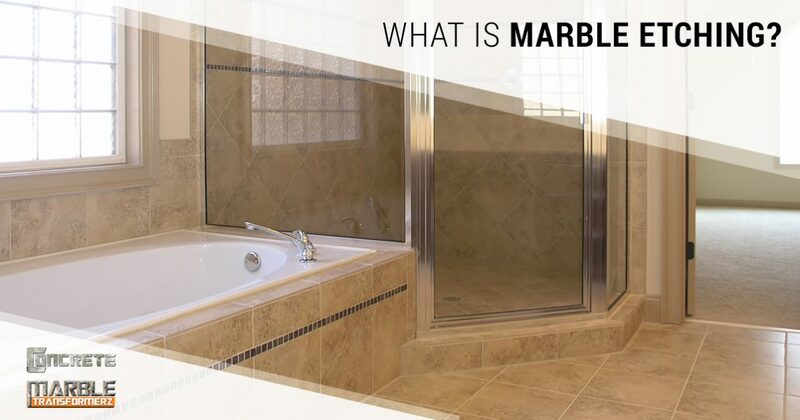 We hope that this post has helped you to understand what marble etching is, and how you can prevent it from negatively affecting the marble in your home. If you have marble that has become etched over time, it’s not too late to invest in marble restoration! Our experts will come to your home and provide you with a thorough evaluation of your marble. We can provide you with high-quality marble restoration and marble polishing that leaves your marble looking like it’s been newly installed. Get in touch with us today to request a marble restoration estimate!